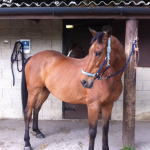 We regularly have horses that are looking for loving new homes as they are no longer suitable for racing. 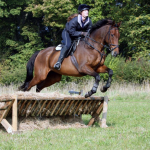 Thoroughbreds make fantastic riding horses and companions. 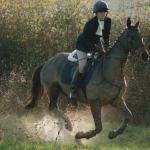 Hannah Weston has now had Absolutely Barking for three years, he is seventeen and was trained here as a winning point to pointer. 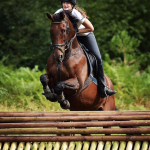 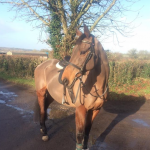 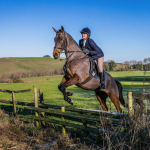 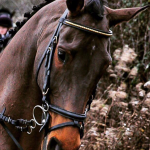 She got him out of Laura Thomas' yard in May 2014 and he's still going strong, a great example of retrained racehorse!